Vagn Pedersen Maskinfabrik A/S was founded in 1958 by master smith Vagn Pedersen. During the 1960’s the company among other things worked with plumbing and heating, sheet and forging jobs for the fast growing Hatting Bageri. During the years this co-operation has resulted in many big and exciting jobs. This was followed by an almost 20-year long co-operation with the packing company, Aug. Laursen in Horsens. In 1969 the company moved to Bødkervej and during the years more buildings were bought / built. 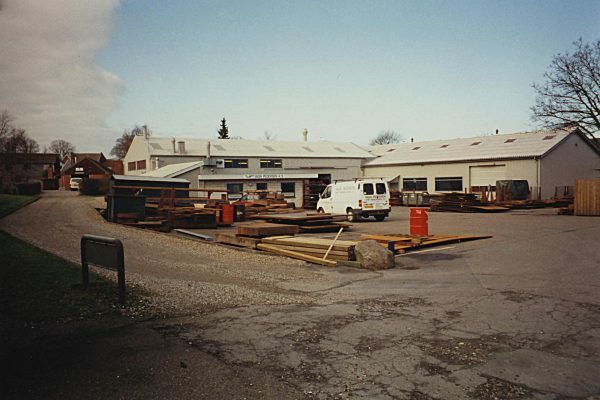 In 1989 the plumbing and heating / sheet department were sold and today the company only is sub-supplier within forging and machine work as well as service, repair, and assembly jobs at a number of fixed customers. However, the company also has a couple of niche products. In 1997 the company expanded its production locations with 750 m2 for flame cutting in a new industrial area on Smedebakken in Hatting. In 2003 the company bought JM værktøj and in 2005 we chose to expand the productions locations on Smedebakken in order to have all chip removing under one roof. In 2007 we decided to assemble all activities on Smedebakken and therefore it was necessary to build a new 2500 m2 hall. Today we have totally 5000 m2 at our disposal, including new production / warehouse and administration facilities. In 2015 was Vagn Pedersen Maskinfabrik A / S split into two companies, VP Maskinfabrik A/S and VP Stål A/S.